We are home again after the trip of a lifetime to the World Equestrian Games! 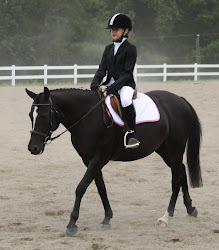 I will post a few of my gazillion pictures, with one fav in particular, as soon as I can, but I just had to say that the week of dressage competition was truly incredible. So inspiring and beautiful to watch - if you watched the freestyle yesterday on NBC, please know that these were, in my opinion, not even the best rides. The GP team and GP Special were AMAZING with hardly a mistake anywhere in the top ten. FEITV.org has all of the rides, and I would highly recommend checking it out. It's calving season! Babies everywhere!